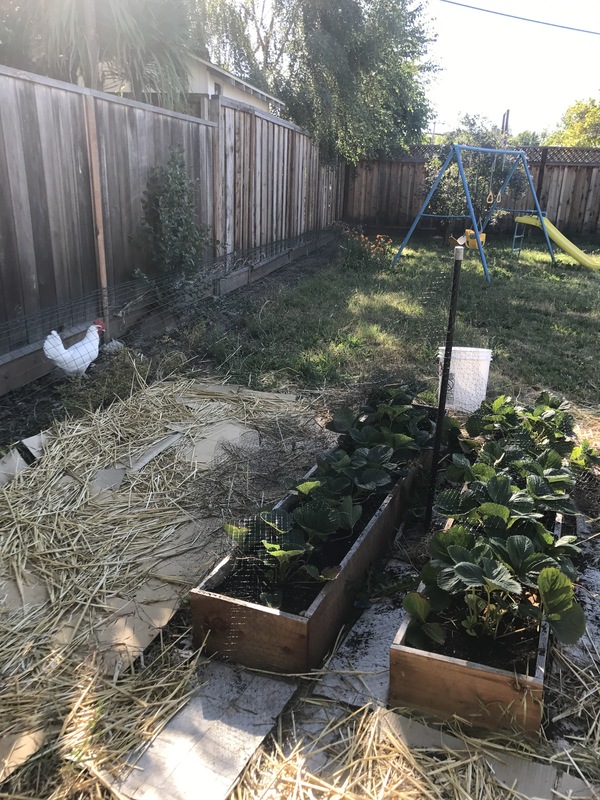 In the past few years I’ve made some novice attempts to get a veggie garden going, with some successes and a lot of misses. 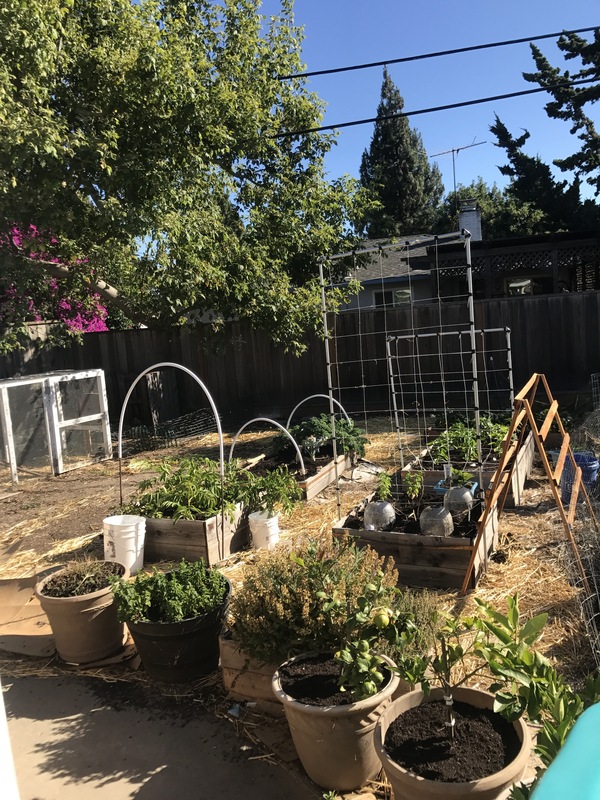 So now I’m reading up on how to grow veggies effectively in our warmish San Francisco bay area microclimate. For starters, I’m making a concerted effort to start a bunch of seeds indoors, for real this time. My problem in the past has been that all of our south-facing windows are blocked from the sun by the patio covering thing. Oh and we have curious cats who like to knock over anything that’s sitting on “their” window sills. So I’m setting up the operation in the garage. It’s not even remotely insulated in there, and overnight lows have mostly been in the high 40s Fahrenheit, but I bought one of those heat mats to sit under the seed flats… and everything is sprouting really fast! The next hurdle was getting light for the seedlings. I ended up buying some 6 watt LED “grow lights” and a shelving unit with a zip-up plastic covering billed as a “mini greenhouse”. I set the grow lights and the seedlings on the top rack, with the heat mat and unsprouted flats on a lower shelf. Possibly the extra heat keeps night time temps just a little bit warmer for the seedlings, I’m not really sure if it made a difference. But everything still seems to be growing fairly well, so that’s cool. The plastic covering certainly keeps sawdust off the plants while they hang out in the garage, and I’m in and out of there several times a day doing laundry and such, so I get lots of opportunities to peek in and see how they’re doing. I have a spray bottle sitting right there so I can easily mist anything that’s looking dry. I’ve already started tomatoes, broccoli, kale, leeks, celery, basil and parsley, and I’ll be starting some bell peppers in a few weeks. 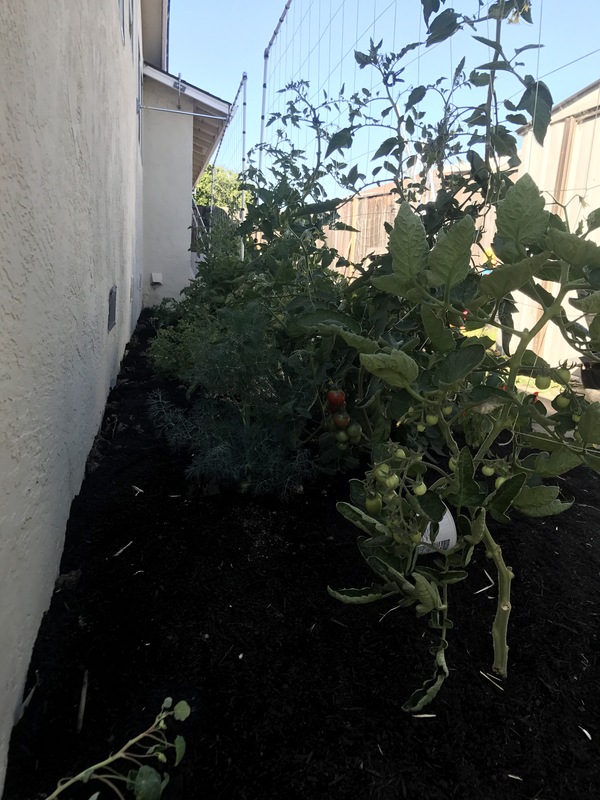 The basil, tomatoes, and peppers I’m growing inside now to get an early start. For the broccoli, rather than picking at random I actually did some research and am trying to grow a fast-maturing cultivar called “De Cicco”. I got a different one to plant in late summer, “Watham 29”. I’m so fancy with my names and such. 🙂 We’ll see how it goes. The celery and leeks I probably could have seeded directly outside, but those were two that I failed at last year, so I’m starting them indoors to keep an eye on them. 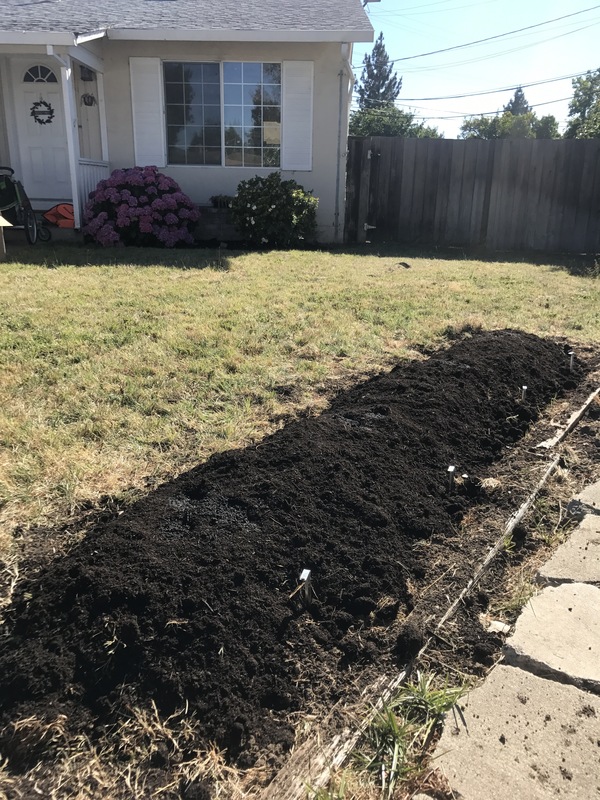 I did sow some seeds directly in the garden boxes too, basically all the ones I had success with in the past: spinach, carrots, cilantro, green onions, and lettuce. And I’m growing some radishes too. I don’t really ever buy them to eat, but maybe I’ll eat some if I grow them. 🙂 Really they’re supposed to be super easy to grow, and I figured I could direct Dakota’s “helpful” energy at the radishes so hopefully she doesn’t drown my other veggies with love and too much water. Maybe I’ll even make a special garden box just for her and plant more radishes in it. I’m going to try to grow a winter squash this year, so I’ll plant that in April. 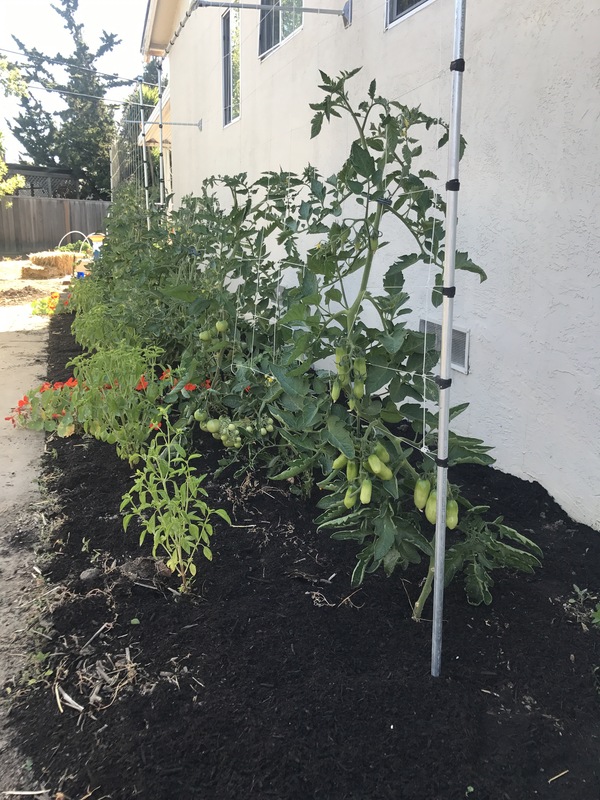 I’ll build a big trellis for it and the tomato, and hopefully they won’t take up too much horizontal space. Oh, for the spinach I bought a culitvar called “Okame” that’s supposed to be more heat tolerant. I sowed the last of the cultivar I bought last year already, but when I sow more in a month or two I hope to have more success than my late-spring attempts last year. 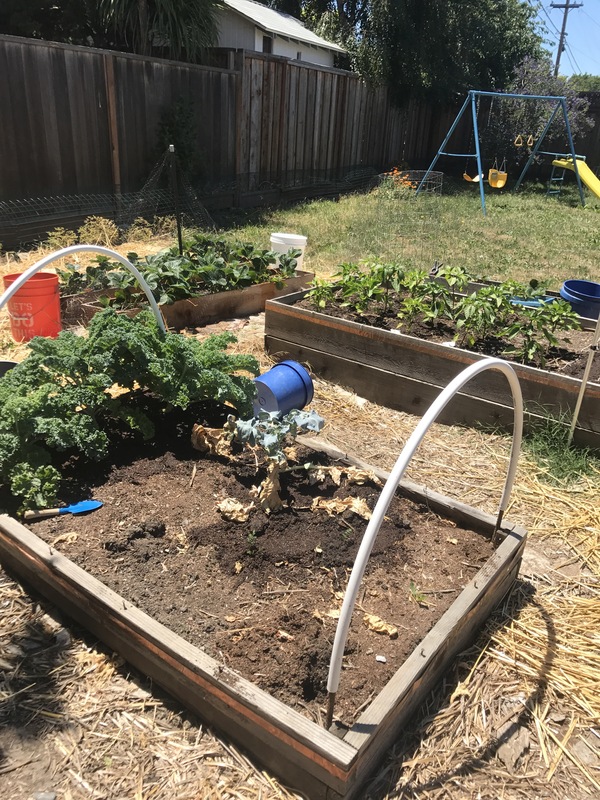 The big plant on the right in the picture above is the one kale plant that actually germinated from what I sowed last fall… It took its sweet time and came up while I was away for xmas. Cool. The radishes are poking up on the left and the spinach is along the back. Herb-wise, The sage got too big for the raised box so I moved it over next to the rosemary, and it’s doing just fine. Last but not least, the strawberries! 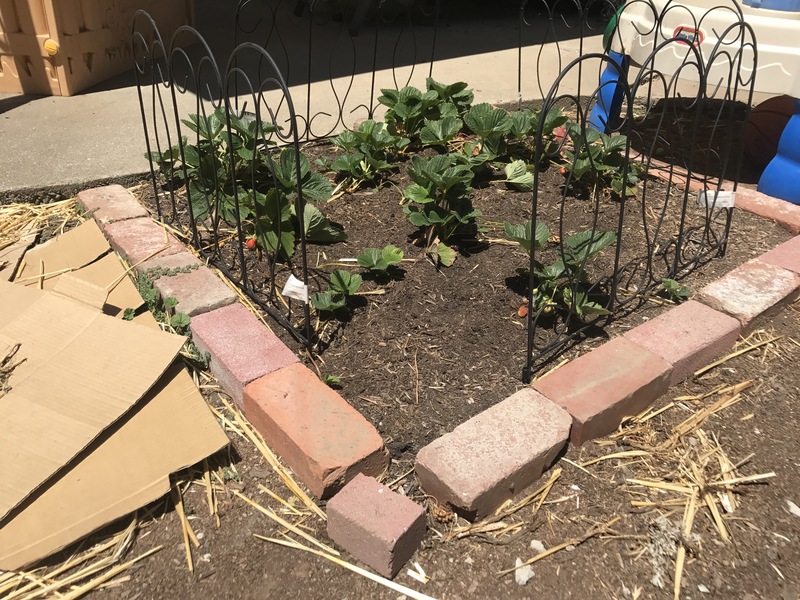 I was sad last year that Dakota couldn’t reach them in the middle of the big box, so I made a long skinny box just for the strawberries, and they seem to have transplanted okay. I’m going to stick with the “remove all the runners” philosophy of strawberries and see how it goes. 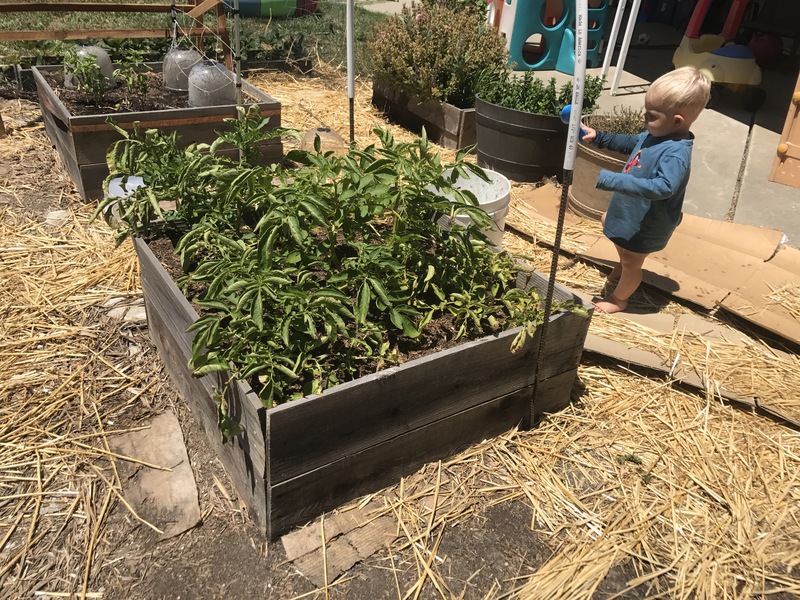 Having them in this box by themselves probably makes them more vulnerable to birds and bugs and stuff, but I’ll just take things as they come and see how it goes… Here’s Dakota watering them shortly after I transplanted them. You can still see the sage in its old location in the background.